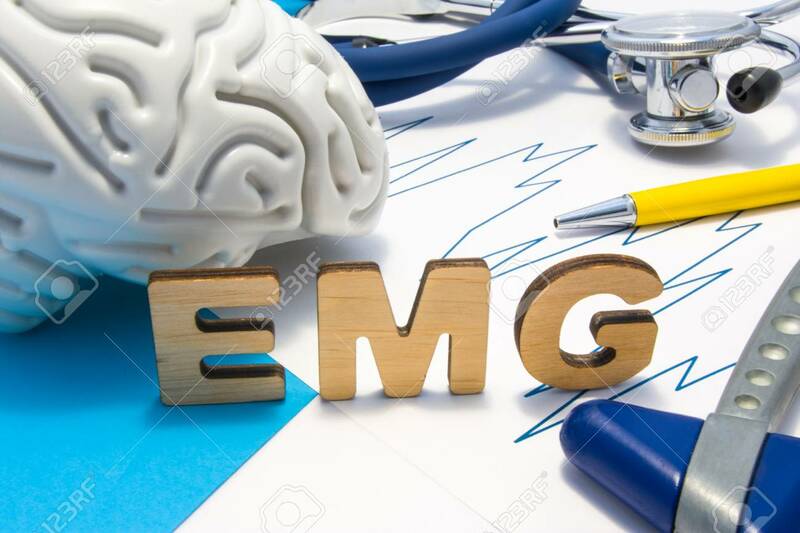 EMG Medical Abbreviation Of Electromyography Concept, Medical Diagnostic Research, Which Measures Electrical Impulses Of Muscles. Diagnosis Nerve Diseases Associated With Poor Transmission Of Nerve Royalty Free Stok Fotoğraf, Resimler, Görseller Ve Stok Fotoğrafçılık. Image 118411114.